Hellish fires, starving children, mistreated animals, migrant suffering. Politics, lies, unfairness, immorality. There’s no lack of situations to stir up strong feelings. These days, the news business– particularly cable news- is booming through the roof. You want intensity? Cable news has got yer intensity right here. Love him or hate him, the man is a ratings bonanza, and we’re drawn in to the circus. Humans just love a good outrage. Require it, actually. We get high on intensity. Not high as in, “Wheee!” but souped up, marinated in the adrenaline and other body chemicals induced by drama. And because we’re junkies, we seek out strong feelings. On the news, on Facebook, on Twitter. We gotta have it. We feel most alive when we’re feeling strongly. Even when it’s awful, intensity seems better than its flip side- boredom. And peace, love, stability, even enlightenment- all those feelings we supposedly really want? Guess what? After a while, they’re boring. Too calm. Too quiet. No problem to solve. No thing to think about. C'mon, no one can maintain a sense of self like that. No. 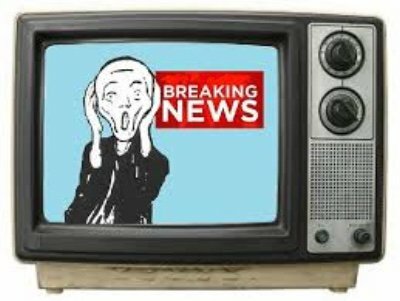 Turn on the news and see what Trump did today. Give us something juicy to feel. Focus on feeling solidifies the sense of self. Intensity tricks us into feeling real, so we don’t notice we’re not. Which is why there’s a constant craving for excitement and strong feelings of any kind. It’s just that this focus causes us to miss a lot. We miss the OK-ness all around us. We miss the enough-ness of it all. We miss that our preference for certain feelings over others is arbitrary and unnecessary. When we're focused on all that intensity, we think we’re The One Who Feels. Which naturally creates a strong sense of self. We might suddenly see how diffuse, how everywhere, we actually are. We might suddenly realize that any one experience is as good as any and every other. Y'know, because we’re all of them. So. Does this mean we have to change the craving for emotionality, or accept boring monotony, or try not to desire? It’s just that considering that we are every experience enables a freedom, a decentralized vastness, that the ME will never have. I mean, an intensity junkie could get high off that. So check the news, Twitter, the conspiracy forums. March, rally, protest, cheer, or ignore it all. We’re all of it. Every feeling, every wild intensity, every boring yawn. Every thought, political sneer, party or side. Outrage, fear, resignation, monotony, peace, love.